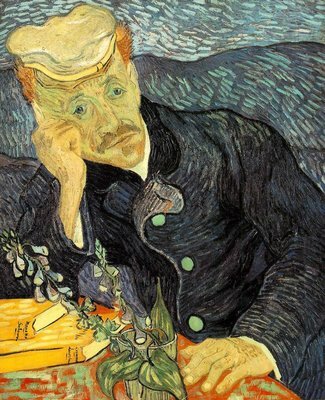 During his stay in Auvers-sur-Oise, Van Gogh was hospitalised due to his failing mental health. At this time, he created a number of paintings that were inspired by the avant-garde artists that he met. Some of the notable works that he made during this time was “Portrait of Dr. Gachet” and “Wheat Fields with Crows”. This was notably the climax of Van Gogh’s career; his illness sometimes abated, letting him work on fantastic works at the rate of more than one a day. On other days, he could do nothing but try and stay healthy. 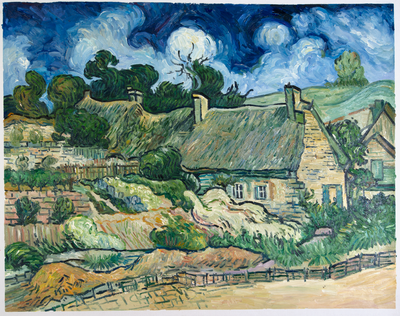 During his stay in Auvers-sur-Oise, Van Gogh created some of his best masterpieces. This was the climax of his life, where he produced many notable works, starting from pieces like “Portrait of Dr.Gachet”, which he created as a tribute to the doctor who helped him during his final days. 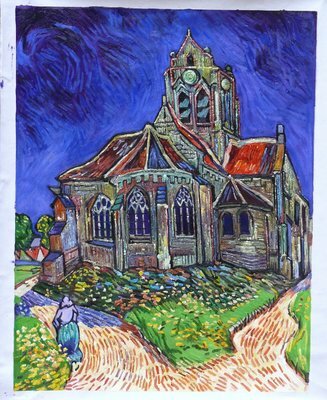 Other notable works include “The Church at Auvers”, in which he painted an impressionist style version of the church in the town. The natural fields of wheat and plains of the town captivated him, and inspired him to create paintings dedicated to these landscapes, such as one of his last works, “Wheat Fields with Crows”, widely believed to be his last painting ever. To him, these fields represented his extreme loneliness, but also helped him heal as he continued to paint them. 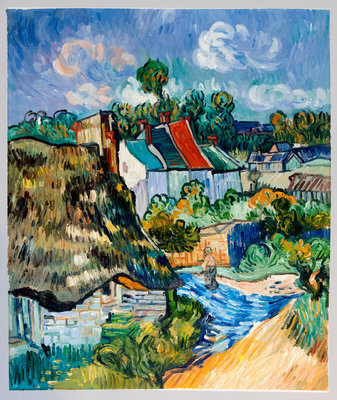 At Van Gogh studio, we create hand made replicas of Van Gogh’s paintings. We aim to perfectly recreate the work of one of Holland’s most distinguished artists. Our artists have studied all of his techniques, such as impasto, colour mixing, rhythm of application, ambience, and brush strokes. The oil paintings are made with the same materials and paints that Van Gogh himself used. They’ve also used the same drawing and perspective techniques that he originally implemented for his paintings, so that the replica would have the same effect as the original. This ensures that even the most minute details on every painting are the same as the ones Van Gogh himself laid on canvas. We guarantee your total satisfaction with your painting or 100% of your money back.